Knowing how to correctly supplement breast milk with formula can be a little confusing. It is also a hesitant move for a lot moms who have exclusively given their babies breast milk and I can deeply empathize with this feeling. 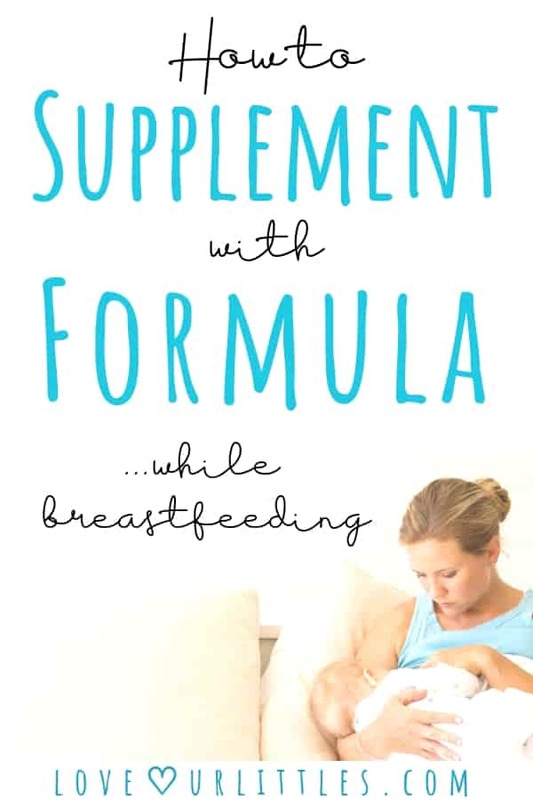 In this post, we’re going to focus on everything you should know about supplementing your breast milk fed baby with formula. There will also be informative recommendations on what formulas are best for breastfed babies. The goal is to provide you with as much information on this topic as possible so you can leave this post feeling like every question you had regarding the supplementation of breast milk with formula was answered (and then some). Supplementing with formula can be a hard transition for mom and baby. Many women who have exclusively breastfed their babies with breast milk want to hold off as long as possible when it comes to introducing formula. Understandably, changing a baby’s diet can come with many upsets and unknowns. So, let’s look at some common reasons why you may be considering supplementing with formula. Your breast milk supply is not meeting your baby’s daily demands. Your milk supply hasn’t come in yet. Baby is in the nicu. Baby is not gaining weight. You want to cut down on pumping and or nursing. Traveling with breast milk is sometimes too much of a hassle. Baby has an intolerance to your breast milk. There are medications you need to take that are not compatible with breastfeeding. As you can see, there are many reasons why you may need to supplement with formula or switch to formula feeding all together. What are the differences between breast milk and formula? There are many differences between breast milk and formula. Breast milk is a living organism made from a mother’s blood and contains living cells to perfectly nourish the baby it feeds. Breast milk also protects the baby from illness and disease because of it’s abundance in friendly bacteria and enzymes. Formula is a processed food with a shelf-life. It does not contain any living cells, enzymes or immunity. Can you mix breast milk with formula? Wasted breast milk if baby doesn’t finish the bottle. Formula doesn’t stay fresh as long as breast milk and should be stored differently. Lessons the anti-bacterial benefits of breast milk when consumed on it’s own. #1. Offer breast milk first to avoid wasting left over breast milk if baby refuses the taste of formula. #2. Pause for a short time (10-20 min.) in between feeding breast milk and formula to give baby enough time to regain some hunger and accept the formula. Because the American Academy of Pediatrics has determined breast milk is indeed the best source of nutrition for babies up to at least 6 months of age, using a formula closest to breast milk is ideal. Which formulas are closest to breast milk and why? In order to rank these formulas as to which are closest to breast milk, I looked at the ingredients to see which ones had the fewest synthetic ingredients. I then did some research on the main ingredients and pulled some reviews left by parents who also supplemented breast milk fed babies with formula. The European formulas hold the top spots on the list because of their superiority in quality ingredients and stringent production regulations. Formulas made in Europe must adhere to a much stricter guidelines than those made for consumption in the U.S. I also have personal experience with these formulas and can attest to the huge difference in quality one notices right away. My baby had no qualms about drinking it, (like she did the others) and there were no negative side affects. 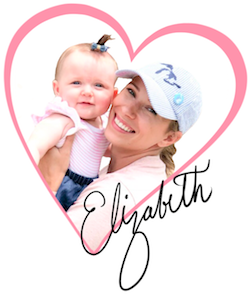 I was led to try these European formulas through the recommendation of other moms who were supplementing their babies with it and also had great success. Note: You will not find these formulas on Amazon unfortunately, but ordering though Organic Start is just as easy and quick! Shipping is free and I always get my order within two days of purchase. INGREDIENTS: ORGANIC GOAT MILK POWDER, ORGANIC MALTODEXTRIN, ORGANIC LACTOSE, ORGANIC VEGETABLE OILS [ORGANIC PALM OIL, ORGANIC RAPESEED OIL, ORGANIC SUNFLOWER OIL], CALCIUM CARBONATE, L-TRYPTOPHAN, SODIUM CITRATE, CHOLINE BITARTRATE, VITAMIN C, L-CYSTINE, L-METHIONINE, L-ISOLEUCINE, VITAMIN E, IRON SULFATE, ZINC SULFATE, CALCIUM D-PANTOTHENATE, NIACIN, COPPER SULFATE, VITAMIN B2, VITAMIN A, VITAMIN B1, VITAMIN B6, MANGANESE SULFATE, POTASSIUM IODATE, FOLIC ACID, VITAMIN K, SODIUM SELENATE, BIOTIN, VITAMIN D, VITAMIN B12. Why goat milk and maybe, why not? Some of the proteins in cow’s and goat’s milk are the same. Therefore, a baby with a lactose or cow milk intolerance may benefit from goat’s milk. It is also suggested that goat’s milk is more easily digestible. Goat’s milk is not completely lactose free and not all babies will benefit from goat milk. You should know that goat’s milk formula is not sold in the Untied States and has not been recognized as a complete source of nutrition for infants. This European Polish infant formula is starch free and tailored to infants who are at risk of allergies and is suitable from birth on. Similac Advanced Non-Gmo Infant Formula is nutritionally complete, milk-based formula for baby’s first year of life. It features OptiGro, an exclusive blend of DHA, Lutein and Vitamin E.
No added growth hormones or genetically modified ingredients. Enhanced with MFGM which has been shown to support cognitive development similar to breast milk. Claims to ease fussiness, gas and crying within 24 hours. For babies from birth through 12 months. The first and most important step in infant formula preparation is to follow the manufacturers directions for the formula being prepared. Wash and sanitize your hands before preparing a bottle. Clean and sanitize the work space. Bottles also need to be clean and sanitized. Do not use a microwave to heat prepared formula. Use a safe water source. What water is safe to be mixed with formula? You can use any type of clean water, tap or boiled. If you’re using well water and are unsure of the purity of the water source you are using, contact your Local Health Department and speak with your baby’s doctor. Well water does need regular testing. It is also important to consider the amount of fluoride in the water. Purified or distilled water is safe for formula preparation. Once mixed, formula has a short life span, unlike breastmilk. See my post, “Pumping Questions Commonly Asked – Answered” to learn the proper feeding and storing guidelines for breast milk. How long does prepared formula last? Prepared infant formula lasts two hours. Use prepared formula within one hour from when feeding begins. Unused and refrigerated formula lasts 24 hours. Can I re-feed any left-over formula my baby doesn’t finish? No, throw out any formula your baby does not finish. The combination of your baby’s saliva and formula can cause harmful bacterial growth. Whatever your reason for supplementing with formula, is your own and no one is here to judge. As you read, there are many great options for breast fed babies on the formula market. I was lucky enough to be able to give my baby breast milk exclusively for the first nine months of her life. When the day came to introduce her to formula, I was uninformed and overwhelmed. I don’t want you to feel the same way! My personal formula recommendation that my baby has had great success with is Holle Infant formula Stage 1 and 2, Organic Cow’s Milk. Please use my affiliate link above and give it a try! Shipping is free and quick, I haven’t had any issues whatsoever with Organic Start. Please do me a favor and share this post with others!